If you’re going to a Christmas party this year the time has come to pick out your festive party dress, and this weekend will be full of online deals so it’s a great weekend to buy one. A couple of years ago I worked for a company whose Christmas “do” was a dressed down affair, and then last year I decided to wear something I already owned, so it seems like forever since I shopped for Christmas party dresses. When there’s so much choice out there it’s hard to know where to start, so I’m sharing my own party dress edit covering the 3 areas that I narrowed my choices down to: sequins, metallic and lace. 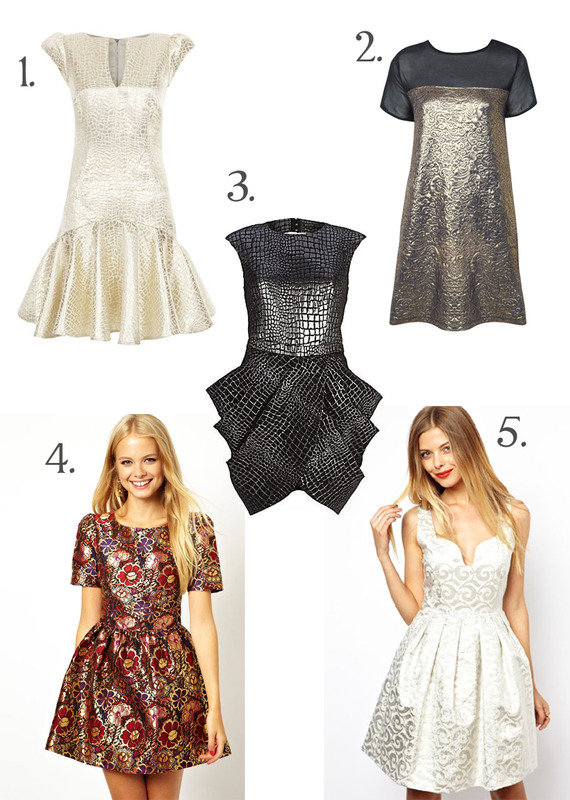 All 3 of these party dress trends feel really festive, and I’ve picked out my top 5 dresses in each area. 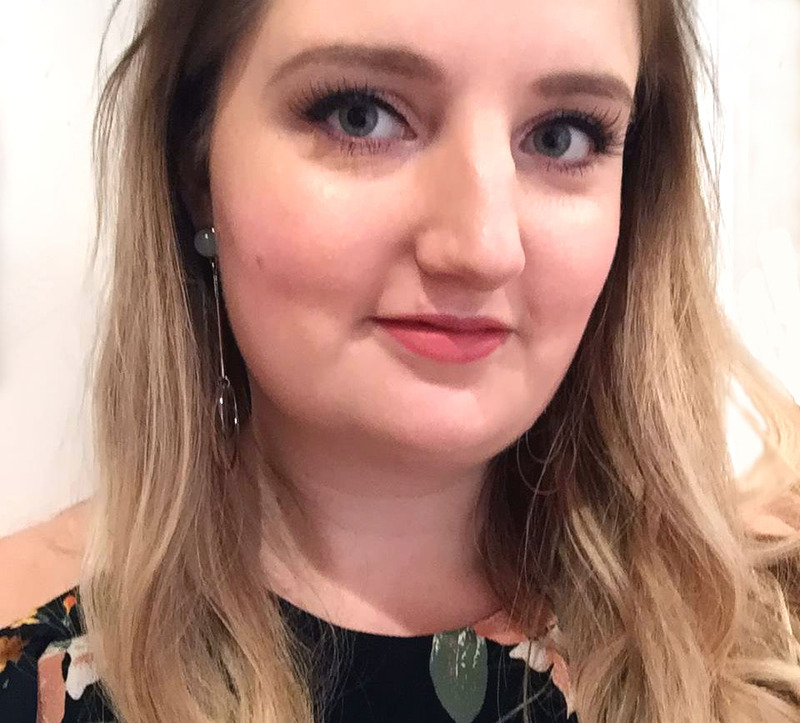 Sequins and sparkle: Sequin party dresses are the most Christmassy of all, and it’s the only time of year I’d probably wear one. It’s nice to have a bit of sparkle at Christmas, whether it’s just a bit of embellishment around the neck, or whether you go all out glitter ball. Metallic shine: Metallic dresses weren’t on my original search list, but I’ve come across quite a few that caught my eye and I do think that high shine is quite a nice party look. 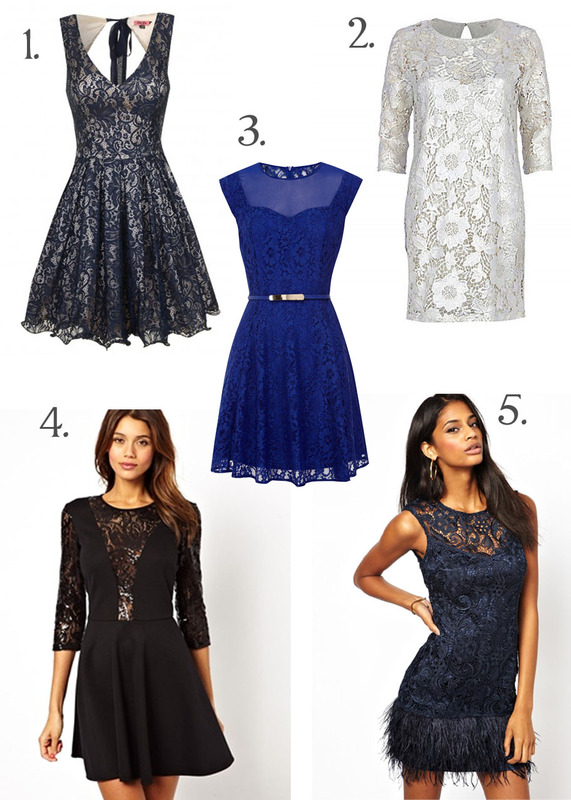 Pretty lace: Lace party dresses don’t have the sparkle and shine of the other 2 trends, but they are very pretty and can be worn all year round. There are so many options out there, and my favourites for Christmas are in wintery colours such as blue, silver and black. I’m pretty certain I’ll be getting one of the dresses off this list. Which ones do you like? Are party dresses your thing or are your festive events a bit more low-key? Nice dresses – I like the sequin top dress. Alas, I think I’m a bit too porky for that this year!